It doesn’t take decades of life experience to have a great idea. In fact, you don’t even have to be old enough to have a driver’s license, as many of these young inventors have proven. Louis Braille suffered a serious eye injury when he was just 3 years old. Not only did the accident render him blind on that side, the infection spread and blinded the other eye as well. After more than a decade of struggling with the slow system of tracing his finger over raised letters, Braille was 12 when he learned of a method of silent communication originally created for the French military. 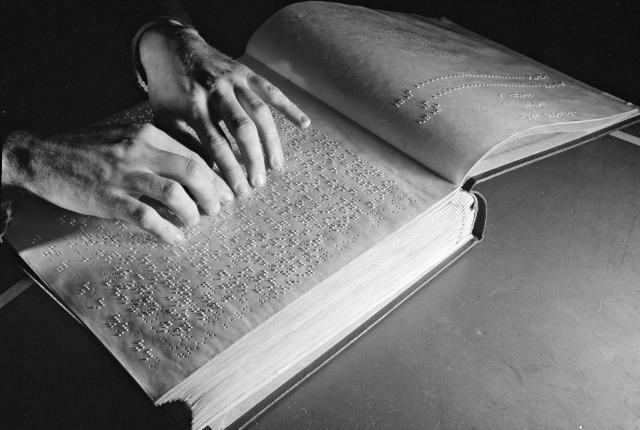 He simplified it, and in 1824 the Braille language was born. Teenagers continue to revolutionize the Braille system. In 2014, 12-year-old Shubham Banerjee created a Braille printer from a LEGO Mindstorms set. Named the Braigo, the $200 printer is much more affordable and attainable than the $2000 alternative. Before electric lights were invented, many people decorated Christmas trees with actual candles. What could go wrong with open flames attached to dead branches studded with dry, brittle needles, all located inside your home? However, even when electric lights became available, people were more concerned about electricity burning their houses down rather than the candles. But by 1917, people were more used to electricity and 15-year-old Albert Sadacca was ready to capitalize on their trust. Prior to that time, those brave enough to try electric Christmas tree lights had to shell out approximately $2000 in today’s money for the privilege. Sadacca had the idea to create an affordable set of Christmas lights and had them produced by his parents’ novelty lighting company. It’s because of him that lights are now a ubiquitous part of the holiday season. As a teenage gymnast, George Nissen and his coach created a «bouncing rig» that helped him generate the power and height to do a back somersault. Originally made out of scrap steel and tire inner tubes, the platform was adapted later into a portable version that he called the «trampoline.» Fun fact: In the 1950s, gas stations bought trampolines to use as «jump centers,» a way for kids to get a little energy out before getting back in the car with their parents. In 1962, 5-year-old Robert Patch cobbled together a couple of shoe boxes and some bottle caps to create a vehicle that could transform into three different trucks: a dump truck, a flatbed, and a box truck. His patent attorney father saw potential and applied for a patent in his son’s name. Young Robert Patch signed his name with an «X»—he didn’t know how to spell yet. Though Patch turned 6 by the time the patent was granted, it was still young enough to be the youngest patent holder ever at the time. A lot of kids are easily distracted—and thanks to the short attention span of 11-year-old Frank Epperson, we now have Popsicles. In 1905, Epperson, a San Francisco native, was stirring powdered drink mix into a cup of water when something else caught his attention. The concoction was forgotten on his porch, and when Epperson rediscovered the drink in the morning, it was a deliciously portable frozen lollipop. After years of making the frozen treats for friends, and eventually his own children, Epperson filed for a patent in 1924. Quebec native Joseph-Armand Bombardier had always been a tinkerer, and on New Year’s Eve in 1922, he surprised his family with his latest creation. He had mounted the engine of a Ford Model T to four runners, with a handmade propeller perched on the back. Steered by Bombardier’s younger brother, the contraption traveled more than half a mile across the snow before coming to a stop. The 15-year-old inventor continued perfecting his snowmobile over the years, adding tank-like tracks to it in 1935. By 1959, his tinkering had resulted in the Ski-Doo, the first ultralight snowmobile model. In 1996, fifth-grader Richie Stachowski invented the Water Talkie, a device that allows people to talk to each other underwater. It was a hit, so Stachowski expanded his product line under a company he called Short Stack. The new lineup included the Scuba Scope and the Bumper Jumper Water Pumper. In 1999, at age 13, the pint-sized entrepreneur sold Short Stack to a San Francisco-based toy company for what was speculated to be millions. As a teen, Jerry Siegel was having a hard time sleeping one hot summer night in 1934. Restless, his mind turned to his favorite science fiction stories—and as he looked outside at the moon, he got an idea of his own. Siegel jotted them down, and in the morning, ran to visit his artist friend Joe Shuster, who made some sketches. Four years later, they found a publisher, and today, Superman is one of the most recognizable characters in the world. In the early 1700s, an 11-year-old boy who loved to swim noted that he could cut through the water more easily if he had more surface area to push through it with. He fashioned handheld swimming fins out of oval-shaped planks, making holes in the middle for his hands. He made fins for his feet as well, but wasn’t happy with the clunky design and quickly abandoned them. The fins were just one of the boy’s many inventions—the kid we know today as Ben Franklin grew up to create a stove, the odometer, a lightning rod, and bifocals, among other things. As an adult, his continued love for swimming earned him a spot in the International Swimming Hall of Fame. It can get pretty chilly in Maine, so it’s no wonder that they have a day honoring Chester Greenwood, who invented earmuffs in 1873 when he was just 15. Greenwood loved to ice skate on frozen ponds during the cold Maine winters, but a wool allergy kept him from donning the warm hats with earflaps that his friends wore. Tired of having to call it quits due to his cold ears, Greenwood asked his grandmother to sew flaps of flannel or beaver fur onto some wires that he could bend around his head. Ten years later, Greenwood was the owner of an earmuff factory that produced 50,000 of them every year. By the way, should you want to celebrate Greenwood and his cozy contribution to society, Chester Greenwood Day is the first Saturday in December. You may remember the Makin’ Bacon kitchen gadget from the 1990s; you may even still own one. The microwave rack, which cooks bacon strips perfectly while catching the excess grease in a drip pan, was the brainchild of an 8-year-old girl named Abbey Fleck. Abbey was helping her parents with breakfast one morning when they ran out of paper towels to sop up the grease. After wondering why they couldn’t just hang the bacon like laundry and let the extra fat drip off, she and her dad fashioned a successful prototype out of plastic hangers and dowel rods. She has since sold 2.7 million Makin’ Bacons through Walmart alone.